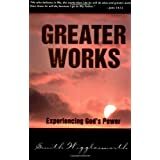 Greater Works ReviewSmith Wigglesworth was an amazing man of God, and you will be blessed by his writings. This book has FOUR of his other books, combined into one. Want to learn more information about Greater Works?